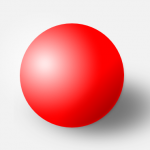 Once more the little girl pushed the red ball into the empty middle of the big room. She steadied it, let go, stepped back and watched. It swayed a moment as though getting some balance, then slowly moved on its own, returning in a slow roll back to the corner where it always seemed to want to be. The girl watched it roll to the corner. Once there it stayed there. She went over and poked it with her index finger but it did not move. She did it once again and once more and once again the same thing happened. Every time. Ball in middle of the room. Ball roll to the empty corner on its own. Stop, stay, there. In another corner was all the furniture of the room. All the lamps and rugs, the sofa and tables and stuff had gone to that corner all on its own and the girl didn’t know how it happened. One day everything of the living room was in its place. The next it was in the corner. In another corner was her mother and her father and her little baby brother. They had stayed in the same position in the same way for two days now like rag-dolls one flopped on the other. The girl went to her father, and grabbed the cuff of his jacket, pulled it and pointed to the ball in the opposite corner. “Dad, the ball. It’s doing funny things.” Dad did not respond. The girl walked once again and once more over to the ball all the way over on the opposite corner and picked it up and carried and put it smack dab in the middle of the room and sat between the ball and its favorite corner. 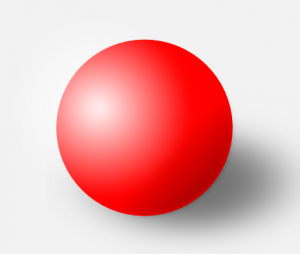 The red ball swayed again again again and rolled at her and at the last moment it served around smoothly without hesitation and went to its corner. The girl quietly followed it with her eyes. “Weird ball,” she told it. The girl looked at the last of the four corners where an unmoving figure seemed to be sitting on a stool with a long blanket over him her it. If she watched there were movements sometimes. Like a hand reaching up to scratch an itch on its nose, but also like a rat running around restlessly behind. The girl stayed away from that corner. She tried to lay more heavily on the ball, using all her small power, flopped atop it like a rag-doll herself. She waited for the red ball to move.